Dubai: Dubai’s public bus drivers will soon be able to self-conduct basic health checks through digital medical devices at bus stations, authorities revealed on Thursday. 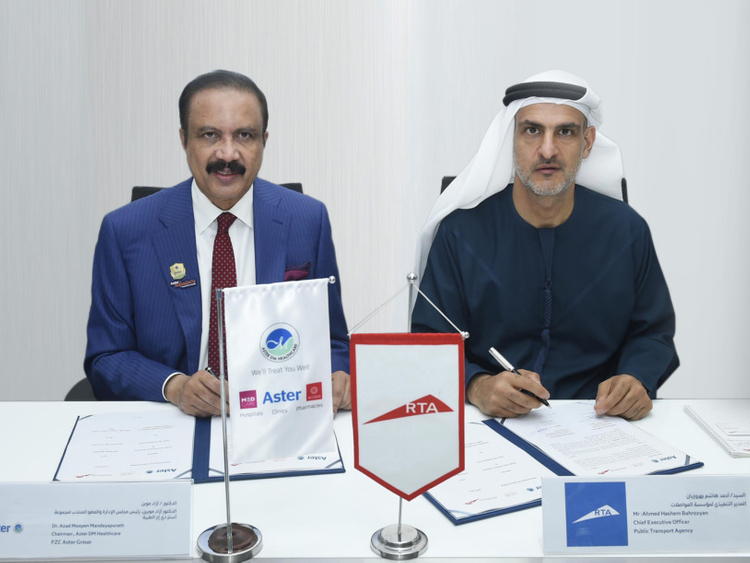 Dubai’s Roads and Transport Authority (RTA) and Aster DM Healthcare Group have signed a Memorandum of Understanding (MoU) whereby the Group will supply digital medical devices to bus stations and depots of RTA. These self-use devices, which will be provided free of charge, will enable drivers, employees and clients to monitor their health and physical condition. Ahmad Bahrozyan, CEO of RTA’s Public Transport Agency, signed for RTA and Azad Moopen, founder chairman and managing director of Aster DM Healthcare, signed for the Group. Moopen added: “Under the MoU, health care stations will be provided to assist bus drivers to keep track of their health details such as the pulse, pressure, diabetes and metabolism before the start of the working day. Tests will be self-conducted without any assistance. This proactive test is intended to ensure drivers are healthy and fit to drive passengers.